The carbon assisted laser peel was originally developed in Asia, where it is has become one of the most popular antiaging procedures available. Known in Asia as the Black Wawa or the Black Doll Facial, the basic carbon assisted laser peel is utilized to deep clean the skin, minimize pore size, and whiten skin. Also known as the “Hollywood Peel” or Hollywood Facial” due to the popularity amongst celebrities as a go to treatment before events, the innovative Spectra Peel takes the carbon assisted laser protocol to a new level. Engineered for optimal performance, the Spectra’s uniform top hat beam profile and power options ensure that the energy is delivered efficiently to maximize effect while minimizing damage to surrounding tissue. The Spectra Mode, quais-long pulse, used in the Spectra Peel is unique to the Spectra laser. 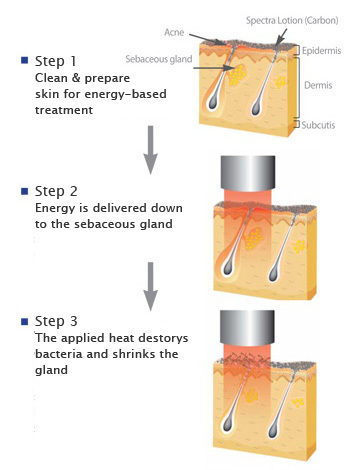 The Spectra Mode provides additional photothermal stimulation of the epidermis and dermis by gently heating the skin. The use of a carbon lotion photoenhancer in combination with Spectra Mode allows the laser to deliver the benefits of much more aggressive procedures without the discomfort and downtime associated with those procedures. The multistep carbon-assisted rejuvenation process begins with the application of a thin layer of carbon-based Spectra lotion. The lotion is left on for several minutes to facilitate penetration into pores. Next a full pass of the face with the laser is completed in Spectra Mode (Quasi-long pulse mode) reaching deep into the dermis, photobiostimulating skin cell regeneration and reducing inflammation. Most patients find the procedure comfortable. Results may be visible after the first treatment, however a series of 3-5 or more treatments is usually recommended depending on the condition(s) being treated. * Packages are available. 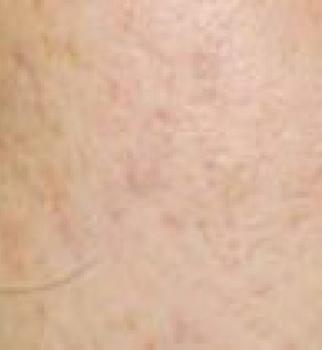 Melasma is a common skin problem that is also known as ‘chloasma’. It causes brown patches on the face, most commonly appearing on the cheeks, bridge of the nose, forehead, chin, and above the upper lip. It also can appear on other parts of the body that get a lot of sun exposure. 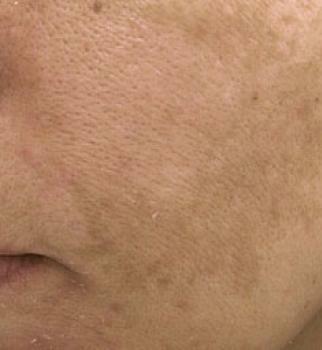 Melasma is caused by excessive melanin, the natural substance in cells that give color to skin, hair and eyes. 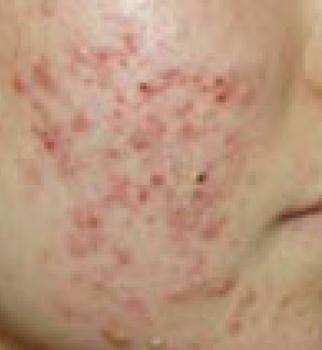 Hormone changes along with sun exposure are thought to be the most common triggers for melasma. 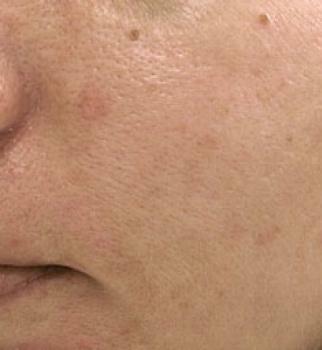 Although melasma may affect both men and women, the majority of those affected are women. Individuals of Latin or Asian ethnicity are also more likely to get melasma. In 2012 the Spectra laser was approved for the treatment of melasma, and has shown to be very effective in reducing the appearance of melasma and curb the production of melanin in the treatment area. HOW MANY TREATMENTS WILL I NEED TO TREAT MELASMA? IS THIS A CURE FOR MELASMA? To book your Spectra Carbon Laser Peel, Spectra Laser Acne Treament or Spectra Melasma Treatment in Calgary call GLO Anitaging Treatment Bar 403-455-0444.